Egg, sautéed spinach, onion, and colby cheese. Cook spinach and onion in a tsp olive oil, then add whisked egg. Flip and add cheese. Let melt and serve on a whole grain bread, toasted, with banana. 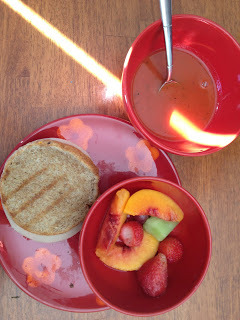 YUMMY breakfast. Breakfast burrito. Egg, sausage, mushroom, onion, a little bit of cheese. 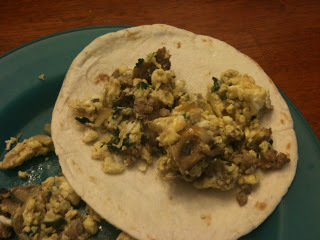 Sauté veggies, add whisked egg, mix together and add onto warm tortilla. Serve with fruit. Great breakfast idea again. Not have much money for Organic fruits and vegetables this time of year? Well, I haven’t had as much and have been eating less (and suffering, ha). I started shopping at Aldi the other week to save more money. 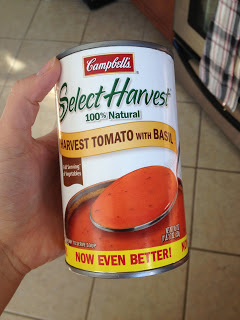 I still do not buy processed items but I have been surprised at some healthy choices that are significantly cheaper than Walmart. Such as FROZEN FRUIT AND VEGETABLES. Yes please! 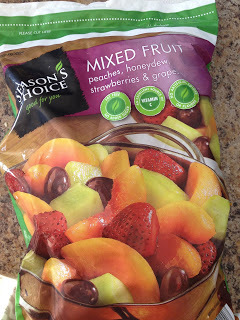 I got this big bag of fruit for $2.49. 32 oz bag. I got green beans for like $.85. Wow. What a way to save on money. Plus, keep it in the freezer and just pull out a little bit to thaw or cook. No wasting anything extra! 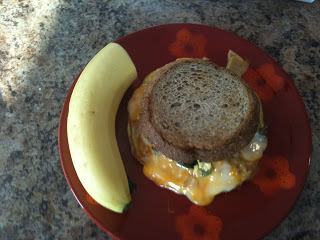 I made my hubby a classic grilled cheese but I altered mine. Turkey, sautéd spinach and onion, topped with cheese on a whole grain bread is how I made mine. It was fantastic. They I took some fruit out the bag I showed above. 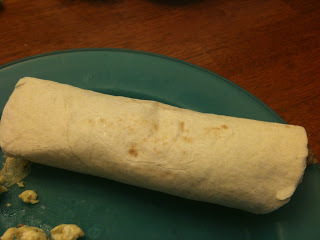 Thawed in the microwave close to a minute, and presto, comfort food for winter but healthier! Hopefully this gives you ideas and satisfies your comfort food wants without adding pounds. Remember, you don’t get a great body on accident. Do what fit people do!